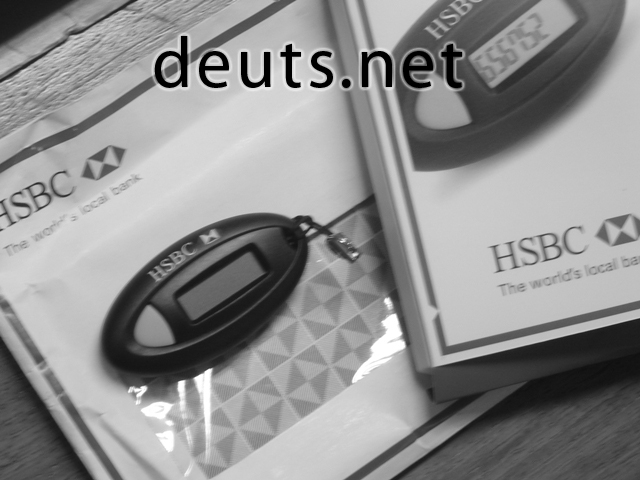 The device and the procedure to be employed by HSBC to secure the access of customers over their accounts at HSBC over the internet, to me, is innovative. This will definitely put HSBC at the forefront of online banking security. The procedure works this way: The customer will access its account at online@hsbc the usual way. However, after entering its username and password, he/she will be promted to enter the 6-digit security code. After pressing the gray button of the device, a 6-digit code will appear and he/she has to enter those numbers to the box provided in the site in order to gain full access of his/her account. Posted on May 21, 2006 by deuts. 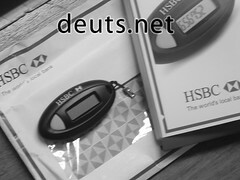 This entry was posted in Internet and Technology and tagged Banking, HSBC, Philippines. Bookmark the permalink.